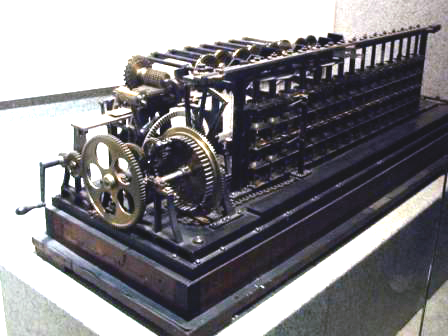 The Scheutz difference engine was a pioneering effort at automating scientific computation. It was built by George Scheutz, a craftsman in Stockholm, Sweden, in 1853, based on the ideas of British computing pioneer Charles Babbage. It is a difference engine, a device that uses a geared mechanical drive to compute the value of polynomial functions. It was on display in Paris in 1855 when noticed by Benjamin A. Gould, who urged its purchase for the Dudley Observatory, which was made possible thorough the generosity of John Rathbone, an Albany stove manufacturer. It saw limited used at the observatory over the next few decades, principally for the production of tables to be used in astronomical calculations, such as tables of the refraction of light by the atmosphere, an important influence on astronomical observation. It was given to a private museum by the Dudley Observatory in about 1900, and currently resides in the Smithsonian Institution. Information about the engine and a few pages of calculations made using the engine can be found in the Dudley Observatory Archives.